A trial piece is also known. 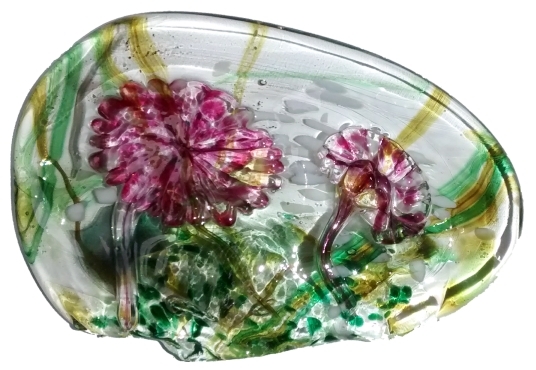 This trial paperweight was in the possession of Elizabeth Harris and has been loaned to Isle of Wight Glass Museum. Four Seasons Spring two flower vase, 11.4 cm high, 9.6 cm diameter. Image courtesy of Mike Collinson. 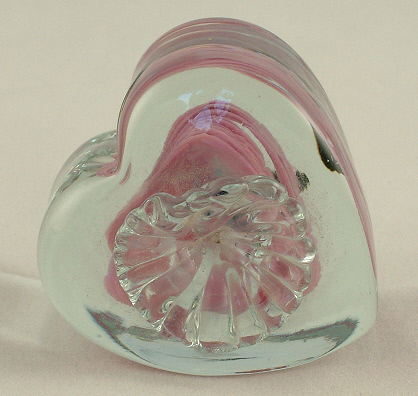 Four Seasons Spring heart-shaped paperweight, 4.5 x 4.5 cm. 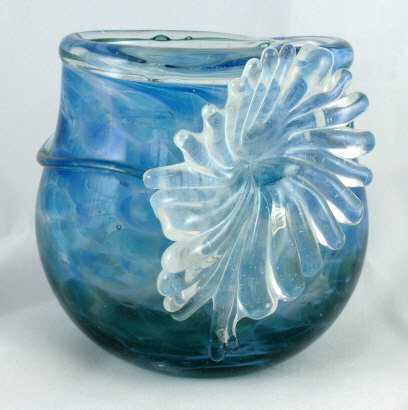 Small vase, 8 cm tall and 8 cm diameter, with one flower attached. Vases were available in four sizes: 8, 11.5, 18 and 23 cm high. The larger the vase the more flowers were attached. The largest had up to six flowers. Four Seasons Autumn medium vase, two flowers, 10.6 cm high, 9.7 cm wide, 9.0 cm depth. Image courtesy of Mike Collinson. 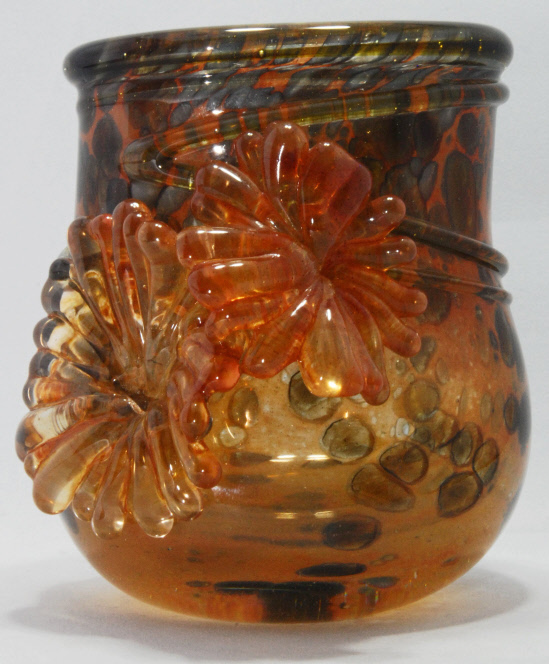 Four Seasons Autumn small vase, with one clear glass flower, 8 cm high x 8 cm wide. 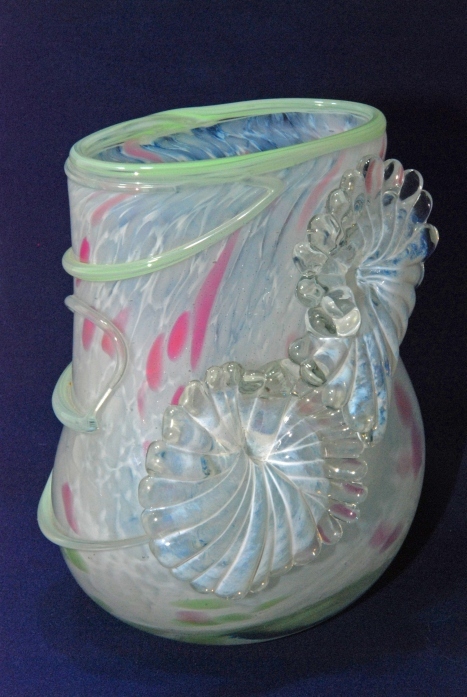 Medium vase, 12 cm high. 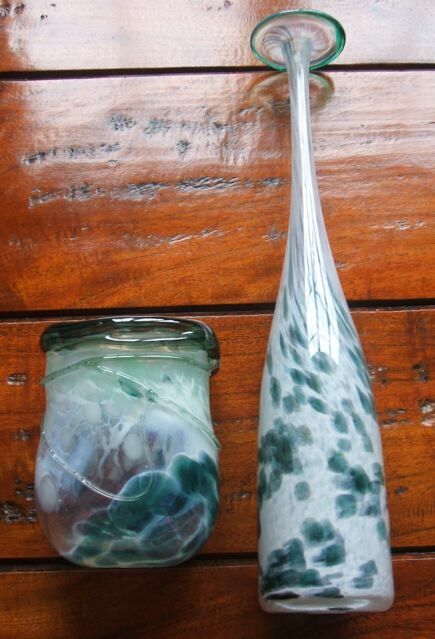 The flower to the left is in clear glass and the flower to the right is in white frosted glass. 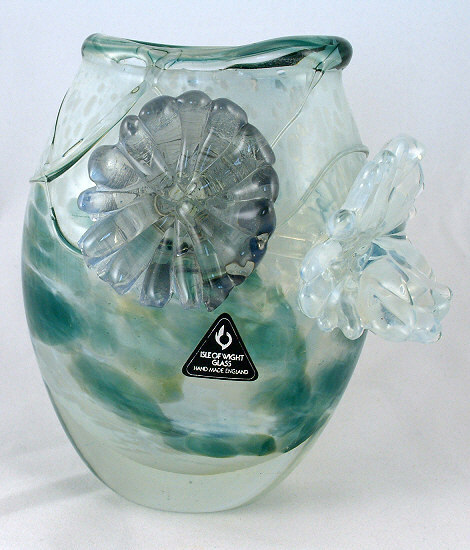 Four Seasons Winter vase and bottle. 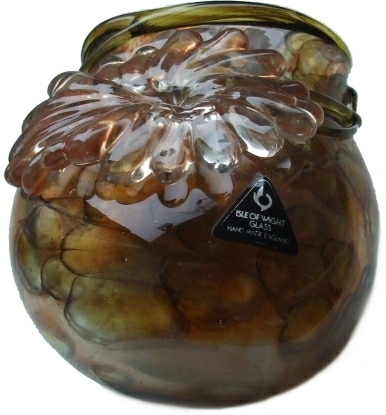 The bottle is attributed to Winter purely based on the colourway. If this is a correct identification then it is rare. Image courtesy of celticway.